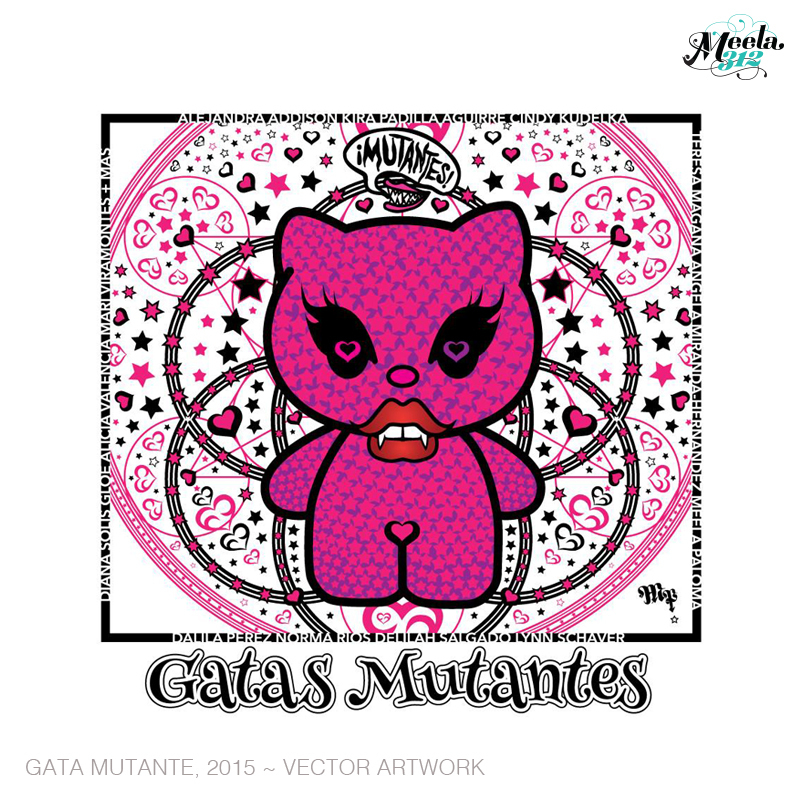 Mujeres Mutantes an all female artist collective, presents their first group show of the year “GATAS MUTANTES” (Mutant Cats) at Pilsen Outpost. Exhibiting a collection of custom vinyl painted 22″ 3d Hello Kitty dolls and offering workshops to girls and women of all ages during this year’s International Women’s Month. Mujeres Mutantes is a Women’s Artist Collective curating group art shows throughout the year. The group’s intention is to create social change through art, invoke self-reflection and provoke insightful thought. Pilsen Outpost is an artist run retail shop and gallery in the Pilsen neighborhood of Chicago. It is a retail environment aimed at introducing and immersing customers in the unique and exciting work of local emerging community artist.